Take a Break from Drinking is your go-to resource on why people drink and how to take a breather without missing out on life. 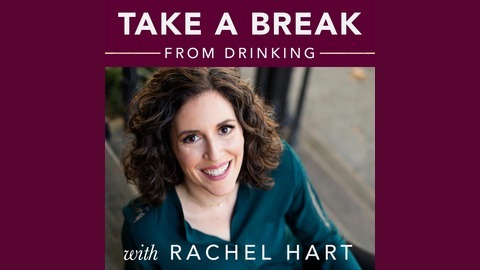 You’ll hear from Master Certified Life Coach Rachel Hart about why changing habits can be tricky, how to decrease your desire, and why there isn’t a one-size-fits-all solution. It IS possible to feel confident, fun, and relaxed without a glass in your hand! If you’re tired of hangovers and regrets and not into labels or powerlessness, this podcast is for you. Listeners will learn how to use the tools outlined in her book, Why Can’t I Drink Like Everyone Else?, to feel healthier and happier right away. 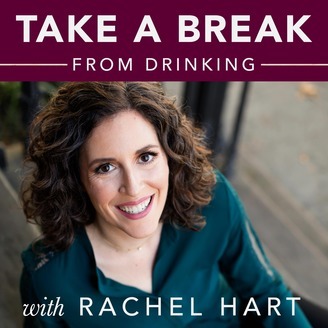 Join Rachel's FREE challenge, The 5-Day Reset, to help you take a break from drinking that will change the habit, reduce your desire, and re-train your brain at http://www.rachelhart.com/challenge. Join me today to learn how using alcohol to numb feelings perpetuates the cycle of avoidance and sickness of your emotional immune system. Harm itself is not the problem here; the thoughts you have, the emotional distress that you experience when you are unable to tolerate how you feel, is what's harmful.